A co-production of the Woodrow Wilson Center and Think Out Loud Productions. Filmed on location in Jogimara and Naubise Districts, Nepal. For years, the Chepang people have lived off the land in Nepal’s forested central foothills. Communities cleared trees to start small subsistence farms, harvested the surrounding area for firewood, and eventually moved on after the wood, soil, and water were depleted. But things have changed over the last few decades. 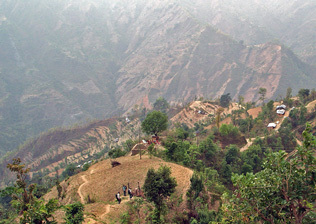 Since 1960, Nepal’s population has grown from 9.5 million to more than 27 million, nearly 80 percent of which is rural. At the same time, deforestation and water use have increased. In 2011, Leona D’Agnes, Heather D’Agnes, and Joan Castro authored one of the only time-series data and regression analyses of a population, health, and environment project. Focusing on programs in the Philippines, they found different disciplines working together produced synergies not obtainable by any one of the disciplines alone. “This research allows those of us who believe strongly in integrating population, health, and environment programming to point to quantitative proof that the approach works,” they wrote. 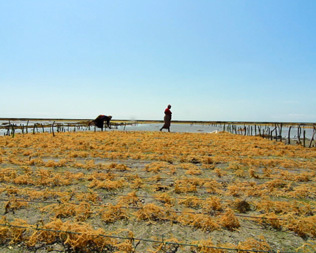 The first film in the “Healthy People, Healthy Environment” series follows three women from the Pangani and Bagamoyo districts of northern Tanzania. Rukia, Mahija, and Fidea show how PHE is helping empower these coastal communities in similar but different ways from Nepal. Clean cookstoves play a major role, reducing exposure to indoor air toxins, lowering reliance on firewood from surrounding forests, and providing an income-generating tool for women and families. 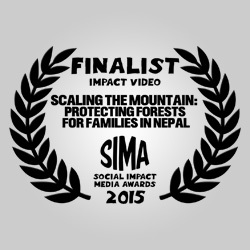 Scaling the Mountain: Protecting Forests for Families in Nepal is the recipient of a 2014 Bronze Telly Award for outstanding film/video, and a finalist for a 2015 Social Impact Media Award. Photos: Sean Peoples and Michael Miller/Wilson Center. Designer: Schuyler Null.